Goichi ‘Suda51’ Suda’s iconic No More Heroes series has always channeled a certain punk aesthetic that matched Suda’s own style. 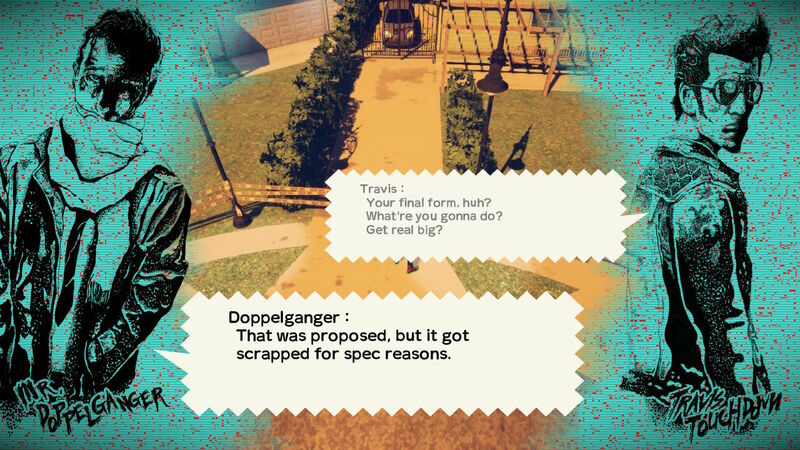 While a third proper sequel could be a long ways off, the pulp-loving game developer has offered a side-meal of sorts in the form of Travis Strikes Again: No More Heroes. 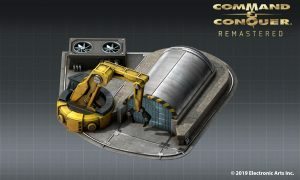 The game is likened to a spinoff where series protagonist Travis and antagonist Bad Man get sucked into a gaming console, only to fight through a multitude of virtual games and gameplay styles. It may not be what fans have been demanding for years, but its certainly more pulp nonsense from Suda. Does it stand on its own, or is it a throwaway spinoff? Read on to find out! From the get-go, Travis Strikes Again: No More Heroes looks and feels like a proper Suda51 game. From the over the top introduction, tongue-in-cheek character dialogue screens, to the bizarre and otherworldly environments, everything just feels like it fits right into the series universe. 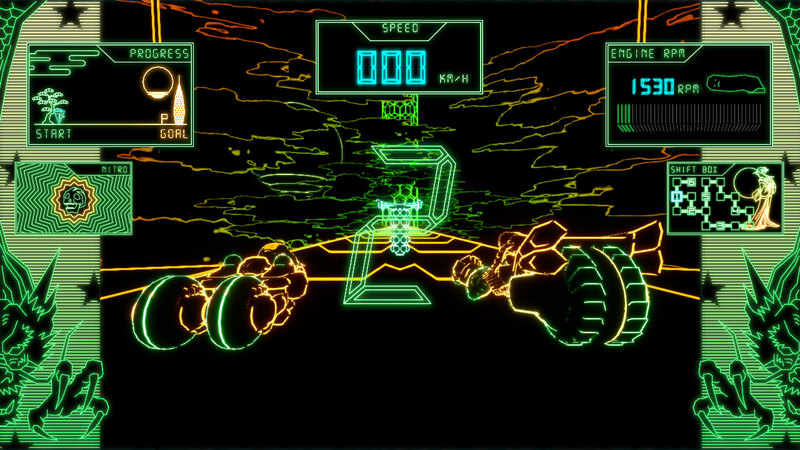 Depending on the virtual “game” you’re playing, visuals can vary wildly from a traditional cel-shaded Travis mowing down bad guys with his signature beam katana, to direct homages of classic games like Asteroids or film like Tron. You go from different genres and aesthetics regularly. Throughout my time with the game, performance was solid both in docked mode and in handheld mode, and there weren’t really any tangible drawbacks to playing in handheld mode. 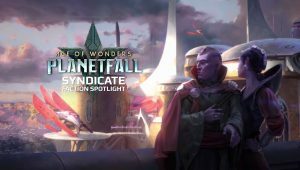 The game’s focus on many different small sub-games lends to its overall great performance. 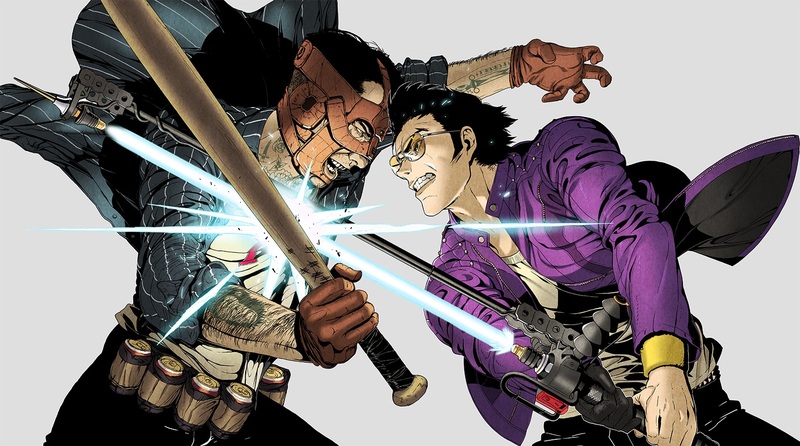 I would say that overall, if you’re a fan of Suda’s work, you’ll have a blast running through the various worlds and interactions with Travis Strikes Again. 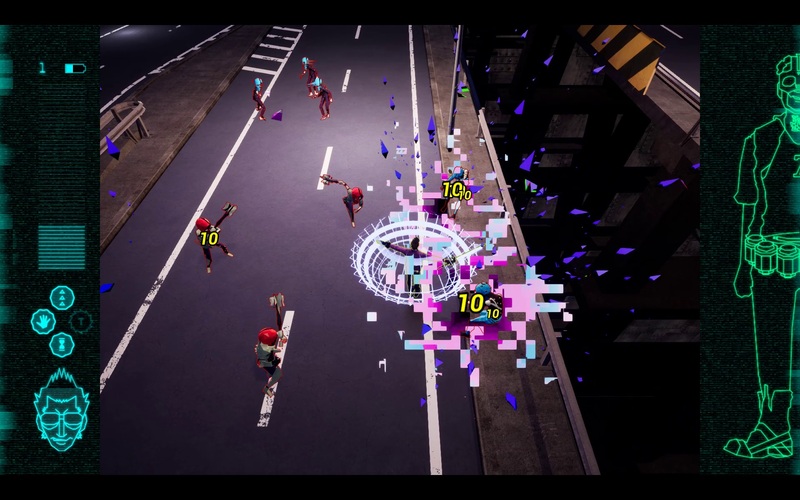 The game is absolutely thematically a Suda51 game, and visually can fit right into the overall No More Heroes universe. 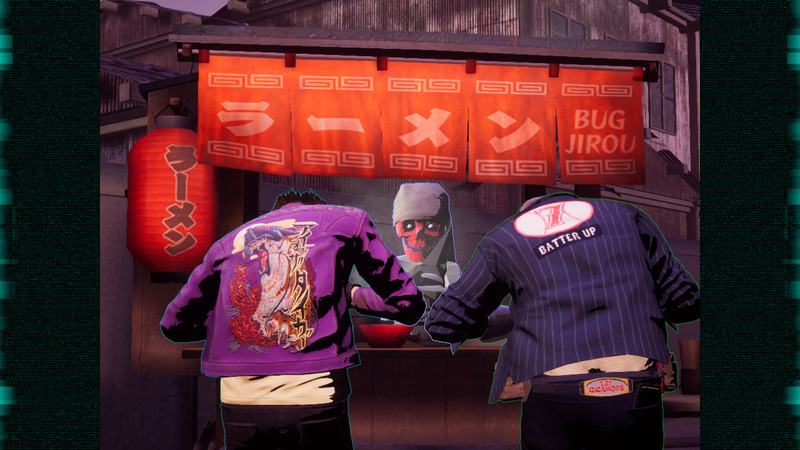 Many of Suda’s games can be divisive in whether or not you like them both in style and in gameplay, and Travis Strikes Again is no different. Due to the nature of the game and its focus on numerous smaller virtual games, you’re basically getting a buffet of different genres. 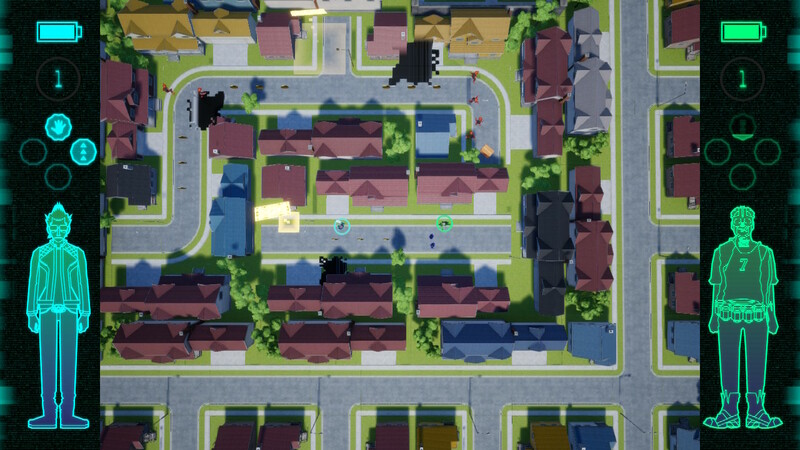 The real meat of the game are the virtual games that throw you into new genres. You’ll be racing in Tron-like worlds within Golden Dragon GP, solving a murder mystery in the PS1-era looking Coffee & Doughnuts, and even hunting down a serial killer in the puzzle game Life is Destroy. This approach to celebrating various eras of gaming and different genres of gaming will be a hit or miss for some folks. Many fans want a proper No More Heroes game, and this isn’t it. Some people want a singular genre experience too, and this is more of an experimental carnival of mechanics. 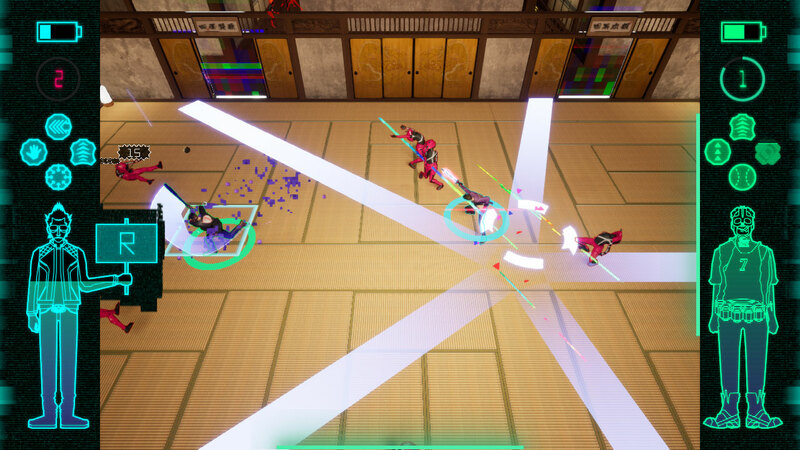 Most of the game consists of top-down hacky slashy combat where you enter various arenas and fight off waves of bad guys with your beam katana. Most enemies die quick, then rehashed mid-bosses come in and provide a bit more HP to cut off, and then bosses come – adding even more HP. Battles are typically quick and have a mix of different enemies, but you can mix things up with the skills that you learn over time. While not really intricate, it’s fun to experiment with different skills and combos while fighting hordes of baddies, and even bosses. Overall the game isn’t really that challenging, even with the mid-bosses or full on bosses. Regular enemy patterns or boss patterns are gleaned easily, and you’ll continue your killing quest. Coming from this, regular combat might get a bit stale, but overall it serves its purpose and doesn’t feel grindy. 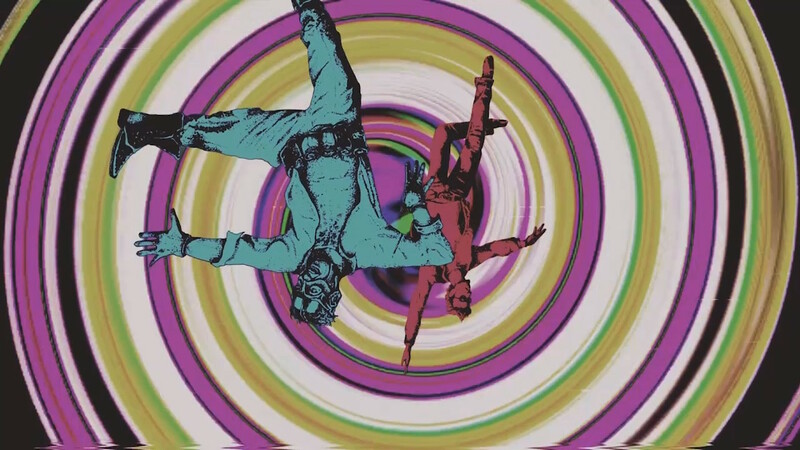 The soundtrack in Travis Strikes Again: No More Heroes is a fun mix of electronica, rock, punk, and pretty much anything you can imagine. The veritable mix of tracks basically mirrors the variety of genres themselves, and it’s a great selection. There is a smidgen of voice work in the big cutscenes, but outside of that the majority of dialogue is text based with an accompanying gibberish voice. Sound effects are appropriately nostalgic and fitting all the same, as you’re meant to be literally in a video game console. 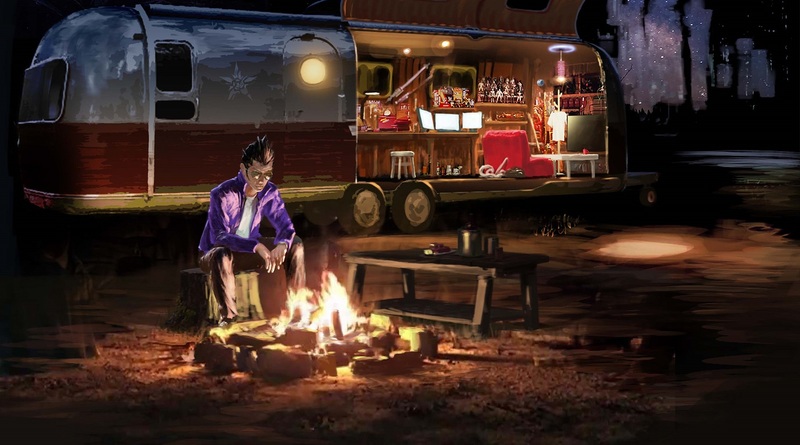 Travis Strikes Again: No More Heroes takes place roughly seven years after the events of No More Heroes 2, and Travis decided to live out the rest of his days in a trailer – playing video games. Bad Man comes looking for revenge, gets into fisticuffs with Travis, and they get sucked into the game console. Urban legends suggest the game console, the Death Drive Mk II, can grant a wish to the player who manages to beat all six included games found within. 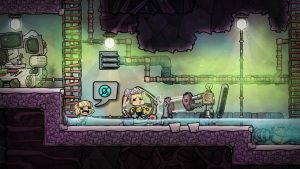 While Travis is simply playing the games because he’s a hopeless nerd, Bad Man wants to bring his daughter back to life. The story and dialogue are typically very silly and frequently break the fourth wall, providing a campy narrative that is very much within Suda’s style. As you progress through the game you’ll run into corrupted, glitched enemies, and Juvenile – an oddball game developer stringing you along. This may not be the game that fans have been clamoring for, but it’s definitely another wacky adventure for Travis and crew. 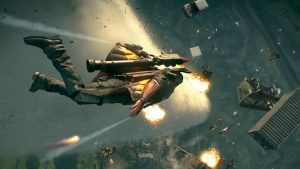 The variety of gameplay provides enough of a fresh take to make it stand on its own. It can get a bit stale at times, but it has quite a lot of style. Travis Strikes Again: No More Heroes was reviewed on Nintendo Switch using a review copy provided by Grasshopper Manufacture. You can find additional information about Niche Gamer’s reviews/ethics policy here.